Int ernational Film Festival for Women, Social Issue and Zero-Discrimination (IFFWOSORO) 2015 which was conducted by The Indonesian Council of Creative People announces it's winners. A spanish film I've Just Had a Dream (Acabo de Tener un Sueño) directed by Javier Navarro received the Best Film Award. According to the founder dan director of the festival Damien Dematra, the film deserved an award as it has shown the high standard in filmmaking. The International Film Festival for Women, Social Issues, and Zero Discrimination was established as a means of supporting and promoting filmmakers all over the world. The main mission is to raise local and international awareness towards issues relating to women and social issues in general, and to help the United Nation promote peace and its humanitarian goals. The festival celebrates the Women International Day (8 March) and Zero Discrimination Day (1 March) and The International Autism Awareness Day (April 2). 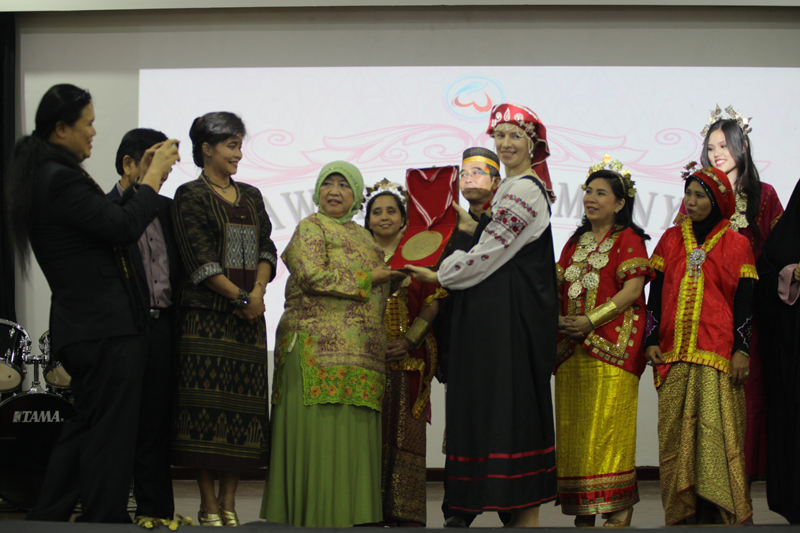 The award was presented by Madame Lily Wahid, a well known politician and activist and also the sister of President Gus Dur. She said the festival conducts film screenings, film-making workshops and Award Ceremony from March 26 to April 6, 2015. During the event IFFWOSORO launched the festival theme song "One Love for All" performed by a multi-award winner actress and singer Natasha Dematra. The music video was filmed in 5 continents to strengthen the global mission of the International Film Festivals Group which dedicate its member festivals including IFFWOSORO to support the United Nations in promoting humanity. Overall winner of the International Film Festival for Women, Social Issues, and Zero Discrimination 2015: I've just had a dream (Spain) directed by Javier Navarro. The festival also select International Women of Change and give special awards to Debi Steven, Heather Garden, Sr Lorraine Garasu, and Tessa Blake.